Rasmussen is a family business going back four generations. Based in Whittier, California, they design and manufacturer innovative, high-quality products. Back in 1907, Danish immigrant Rasmus Rasmussen started a blacksmith’s shop but also diversified into making high-end tools and screens for fireplaces. Since then Rasmussen has survived the test of time, evolving and changing. At one point, they even made truck parts, steel buildings and items used in the Second World War shipbuilding industry! Following the war, the company opened a store selling fireplaces in addition to their booming manufacturing shop. 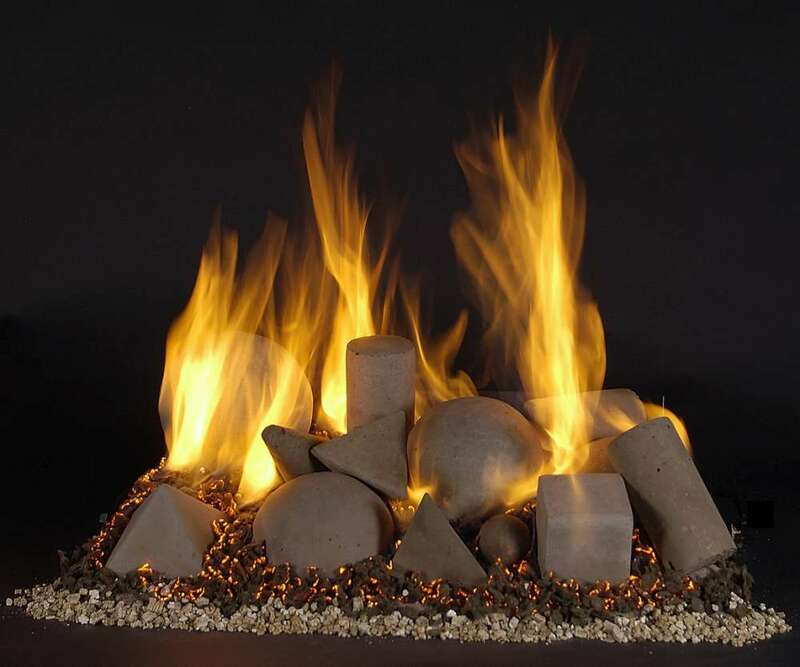 Gas logs were among their best-selling products. 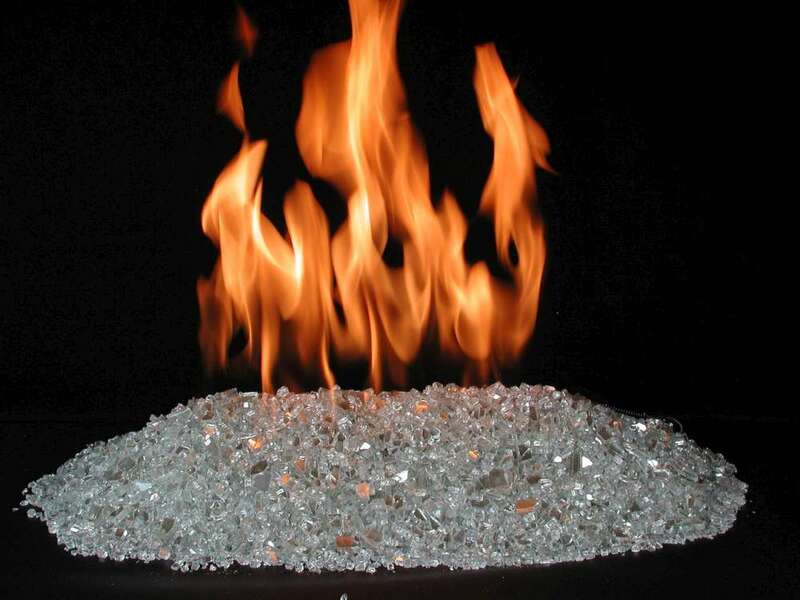 In 1958, the company made a breakthrough in gas log technology and created the sand pan burner, still successfully marketed today. This gives off an incredibly realistic wood flame and is one of the best examples in all gas log designs. The company developed their own molding technique and went on to produce many styles, including oak, birch, char, split, manzanita, eucalyptus, driftwood stumps and pine cones. As if that wasn’t enough, they also produced geometric shaped logs! Today’s Rasmussen gas logs are just as intricate in their details and are hand-painted so they really look like natural bark on natural logs. Rasmussen uses the best materials for all their products and provides a full range of gas products including vented and vent free gas logs. You can also buy fire pit logs, the Alterna vented and vent free range and CoalFire fireplace heaters. The contemporary Alterna range is a great option in comparison to traditional gas logs. 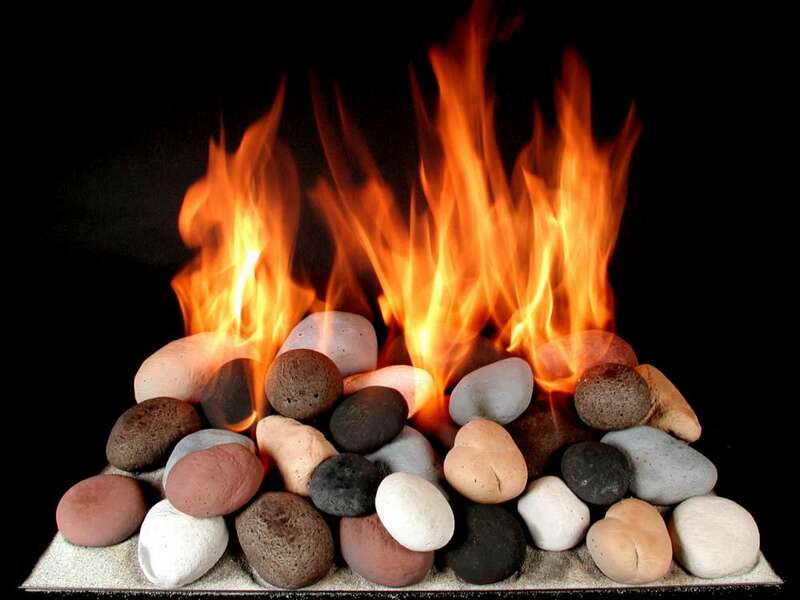 Choose from different modern gas fires in this range in stone, rocks, fire glass, and geometric shapes. They’re ideal for modern living. As an aside, you can even order custom log designs from Rasmussen if you really want something unique! When it comes to size, choose from gas log sets between 12” and 96”. With a great selection of different styles, Rasmussen really are a pioneering company in their field and craftsmanship and quality are always their main priorities!